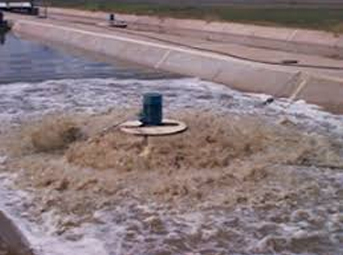 Aeration in an activated sludge process is based on pumping air into a tank, which promotes the microbial growth in the wastewater. The microbes feed on the organic material, forming flocks which can easily settle out. After settling in a separate settling tank, bacteria forming the "activated sludge" flocks are continually recirculated back to the aeration basin to increase the rate of decomposition. A well designed aeration system has a direct impact on the level of wastewater treatment it achieves. An ample and evenly distributed oxygen supply in an aeration system is the key to rapid, economically-viable, and effective wastewater treatment.